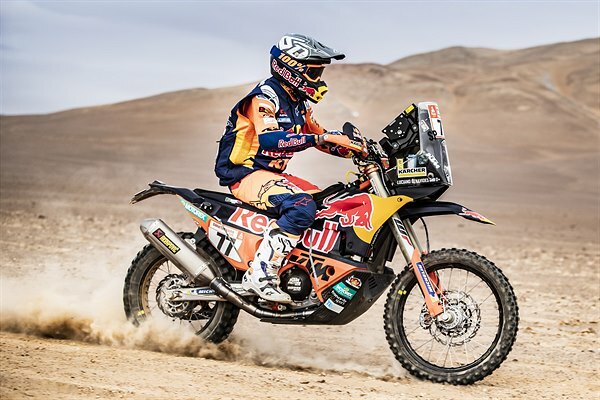 Marking the first half of the 2019 Dakar Rally’s marathon stage, day four in Peru was another challenging one for all competitors. Setting off from Arequipa early in the morning, a short 85-kilometre liaison led into the two-part timed special. 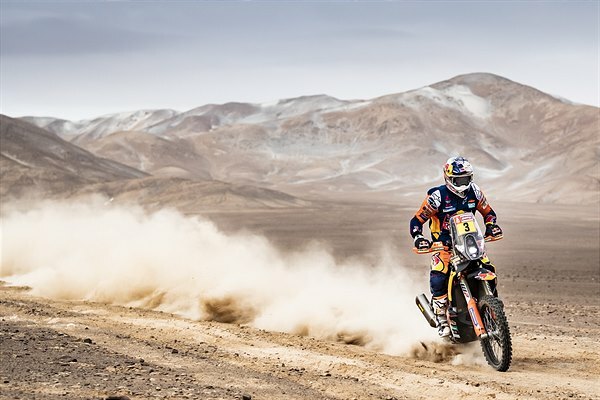 At 405 kilometres – the longest of the rally – the special consisted of soft dunes with many areas of dusty Fesh-Fesh leading into faster, hard-packed river beds. Riders had to take care to preserve their tyres on the faster sections while not losing too much time to their rivals. A short liaison then brought the riders to the temporary bivouac situated near Moquegua. As the marathon stage rules state, riders receive no outside assistance overnight. All maintenance must be carried out by themselves or fellow competitors. Improving once again, Luciano Benavides enjoyed his best stage result of the rally so far, finishing 13th and just 20 minutes off the leaders’ time. Moving up to 14th overall, the young Argentinian feels fit and aims to maintain his pace as the rally progresses. 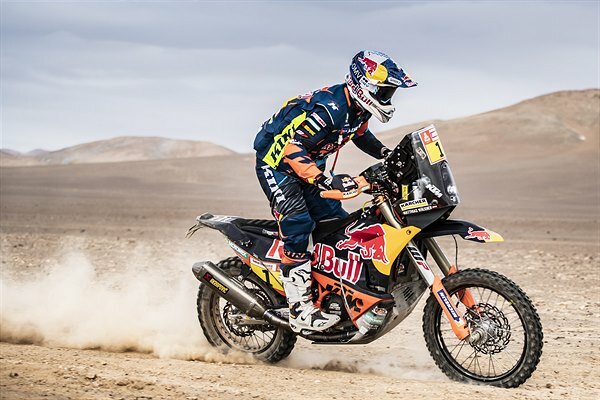 KTM Factory Racing’s Mario Patrao successfully completed stage four in 23rd position and lies 20th overall in the provisional standings. 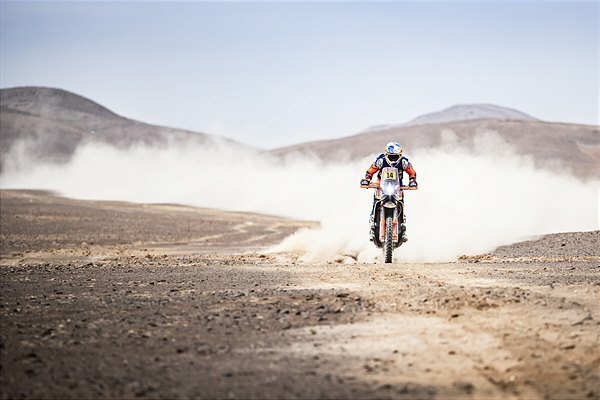 Friday’s 776km stage five will see the first of two mass starts at this year’s event. Riders will set off motocross-style into the Ilo dunes as they contest the 345-kilometre timed special. As the day makes up the second half of the marathon stage, competitors will need to conserve their tyres and machines in order to arrive back at the bivouac safely.